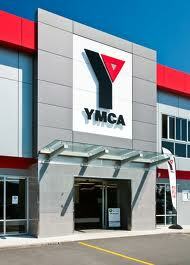 The basketball programme is run at the North Shore YMCA, 5 Akoranga Drive, Northcote. This highly successful programme has been enjoyed by hundreds of home educated children over many years. The great thing about the coaching programme is that it caters for players of all levels; from novice to junior international standard. Many of the intake from the programme’s earlier years have gone on to represent New Zealand teams at tournaments both at home and overseas. Others have graduated this programme to play representative basketball for North Harbour. The two major components of the YMCA coaching programme are to teach individual skills and marry those into the needs of team play – important facets of sport and life! A side benefit of the programme is that many of the players gain part time employment (many as young as 12) as referees in the North Harbour competitions, or at the YMCA (from 16). A few of our graduates have had the honour of refereeing international matches. Our junior homeschooled basketballers often go on to play in teams and compete against other schools in the North Shore YMCA basketball leagues. Over the years our teams have been highly successful. Our intermediate and senior players go on to compete in various North Harbour Basketball school competitions or rep teams which play at the North Shore Events Centre or AUT Akoranga or Albany campus’. The success of the YMCA basketball skills coaching programme has been due in no small part to the quality of the coaches we have been able to identify and employ. These passionate people do a great job. Development of individual ball skills and hand-eye coordination. Last but not least, having FUN!!! To receive our special rates, HASCA members will need to sign up at YMCA North Shore ‘Reception’, email or phone, and enrol on or before week 1 of term. Meet the Coach! Andrew MacKay is the new Head Coach of the Homeschool Basketball Skills Programme. Andrew has already been coaching in excess of four years and is currently studying Sports and Recreation at Auckland University of Technology. Andrew’s accolades include: Rangitoto College Emerging Coach of the Year 2016, Rangitoto College Student Coach of the Year 2016, and Basketball New Zealand Under 14 National Talent Programme Coach 2017. Andrew also runs ‘Get Better Basketball’ and is passionate about helping others improve! Participation and consistency is the key to children developing and improving their basketball skill base – a full (10 week) term enrollment is highly recommended. ENROL TODAY! We highly recommend enrolling before the first week (each term) as staffing levels are based on those enrolled for classes.